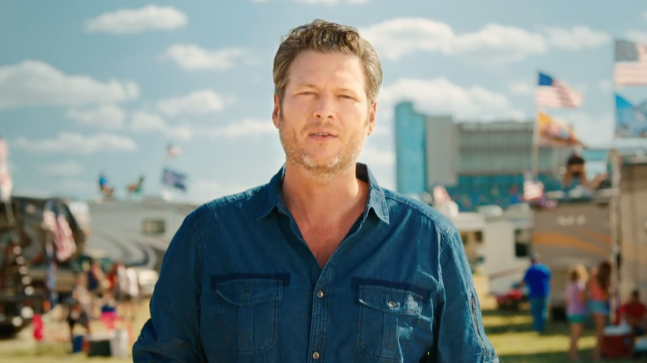 Blake Shelton kicks off the Nascar season during the RIO Olympics with this series of 4 spots created to run across NBC, NBC Sports and MSNBC during the telecast. 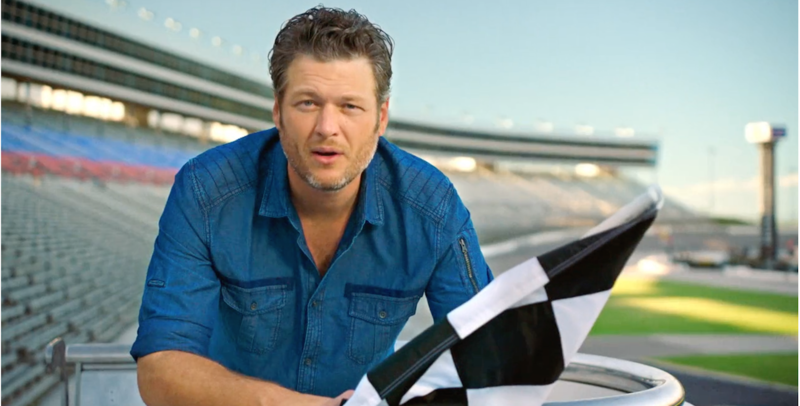 Shot at the Texas Motor Speedway where temperatures reached 102 on the track. 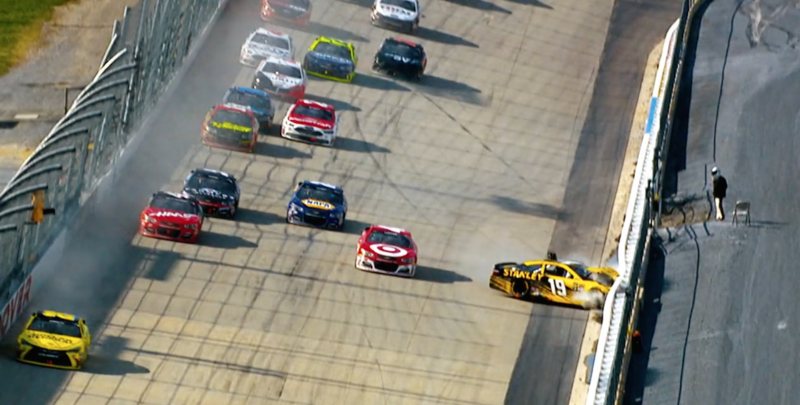 TASK: Create a series of spots that will run during the RIO Olympics broadcasts ( 2.1 billion viewers), to bring in the Nascar fans, as well as find the new audience. The final idea was to center this all around a Populist view and a double meaning. ” YOU’RE WELCOME” and Blake’s delivery nailed it for both. 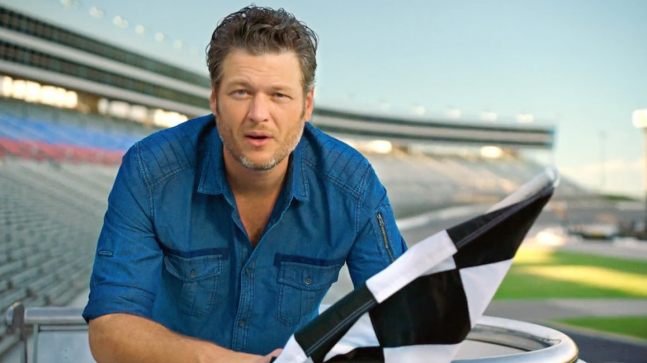 Blake Shelton was the perfect spokesperson, being a Nascar fanatic and the host of the VOICE. We had 2 hours with talent to accomplish 4 spots on a track the size of a small town. Not to mention it was August in Texas… and 102 on the track. 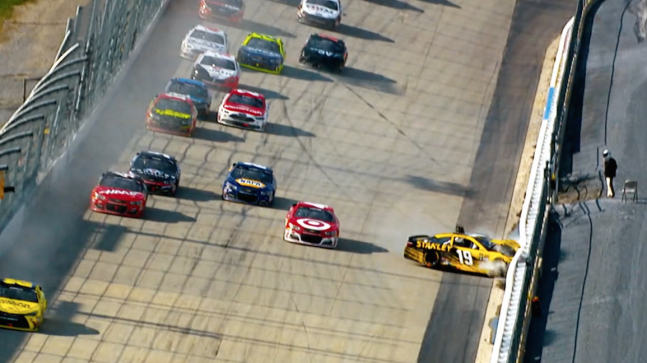 SOLUTION: The track was closed this time of year so we had to art direct everything from bringing in the right generation of Nascar for authenticity, to populating the infield with extras, motorhomes, cars, barbecues , flags, etc. We also and to create the garage, the mechanics and the tools. 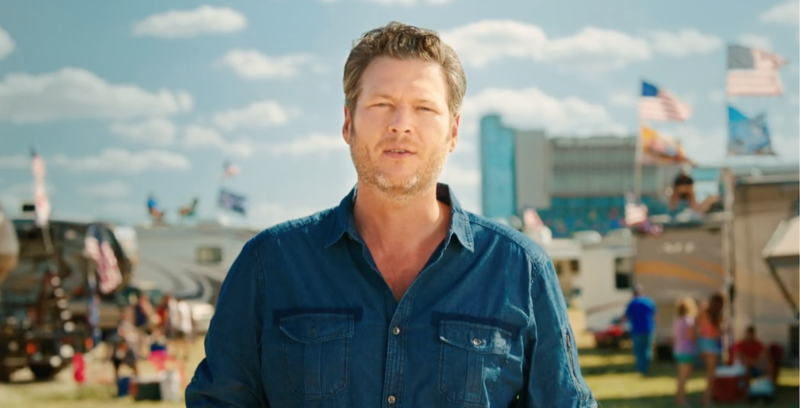 We also knew that Blake had a show in Alberta Canada the night before, so we flew him in by private jet to his home in Oklahoma, and helicoptered him into the track the next day. The sun was critical for lighting so we had timed out where it would be for each set up. Did I mention, at points it was 102 on the track?? By the time Blake arrived we had rehearsed and practiced moving from spot to spot and pre lit, so that we could use these 2 hours wisely. Luckily it all went well and Blake is a consummate pro, so he motored right through his lines and we made the day. We shot on Sunday August 1 and it aired 5 days later on the opening night of the Olympics.